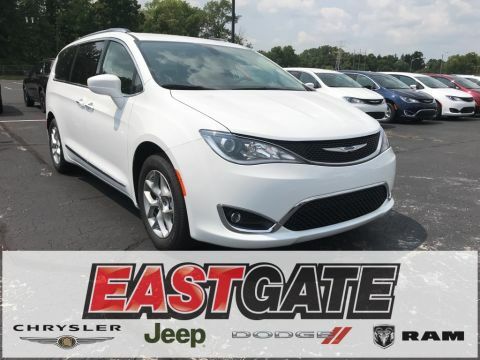 The new updated 2018 Chrysler Pacifica is continuing to impress those looking for family vehicles with convenience, safety, and power. 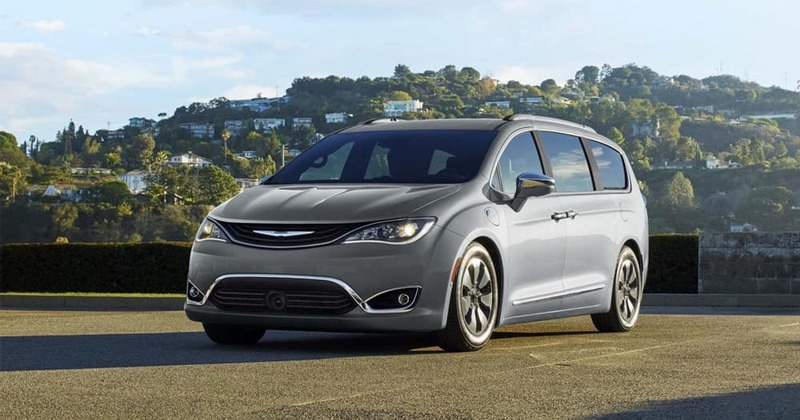 Chrysler has brought van lovers six trims for the 2018 Pacifica. The Base model is the L, which starts at an MSRP of $26,995 and comes equipped with 17” black steel wheels, heated mirrors, and ABS with driveline traction control. Mid-range models include the LX, Touring Plus, Touring L, and Touring L Plus. These affordable models still offer many upgraded features, including leather heated seats, Sirius Satellite radio, ParkSense park assist, and driver and passenger lumbar support. 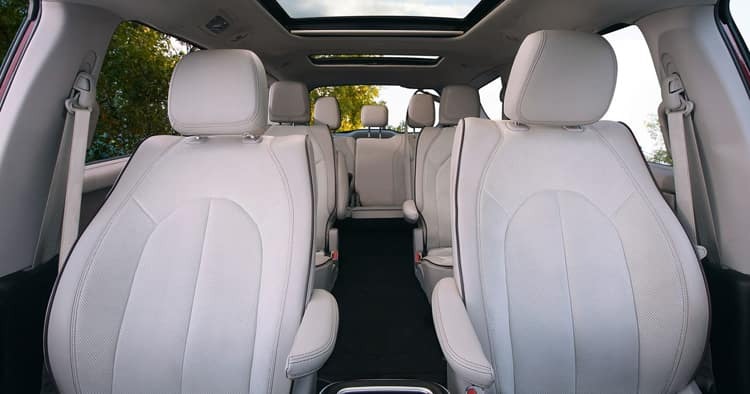 The highest trim level is the Limited, which starts at an MSRP of $43,695 and offers such features as tilting glass sunroof, 1st and 2nd row express open and close, upgraded 18” tires, and optional navigation system. 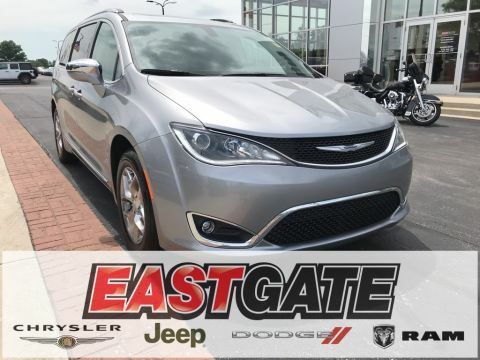 The new 2018 Chrysler Pacifica boasts a 3.6 liter V6 engine with 287 horsepower, which provides enough power to go from 0 to 60 in just over seven seconds, The nine-speed transmission shifts smoothly, creating a comfortable ride. Both of these features help the Pacifica handle with ease. For power and fuel efficiency, you can also try the hybrid model, which pairs with the 3.6 liter V6 with a 16 kilowatt lithium-ion battery and two motors to output about 260 horsepower. 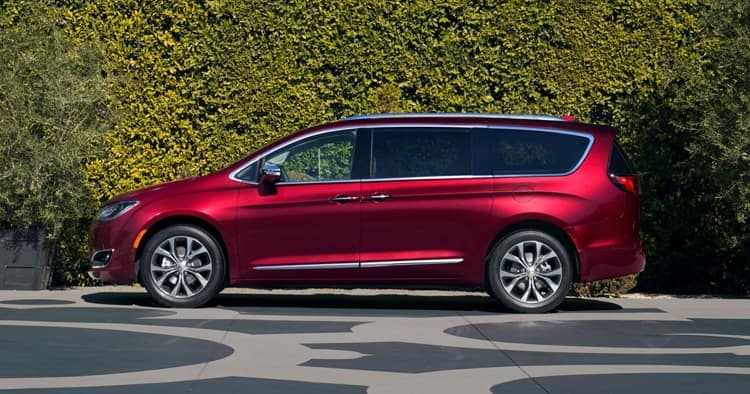 Despite its size, the new 2018 Chrysler Pacifica maneuvers easily and is powerful enough to to handle cross-country trips. The body and suspension can traverse any bump in the road. The Pacifica provides smooth handling on the highway whether in traffic or not and also provides for a significant amount of hauling power as well. 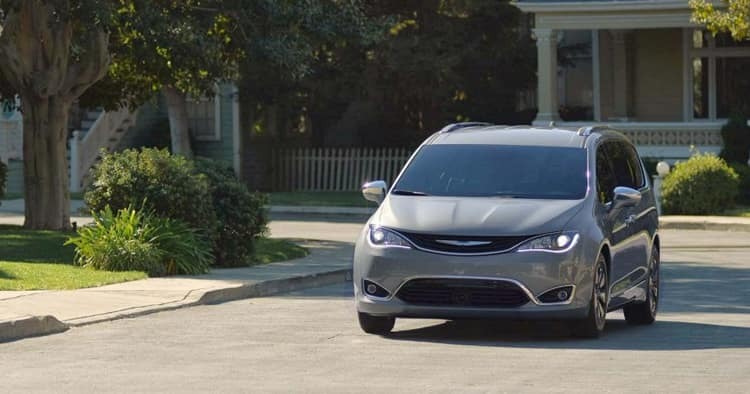 With above-average performance, the Pacifica will not only help you get there, but get there safely. 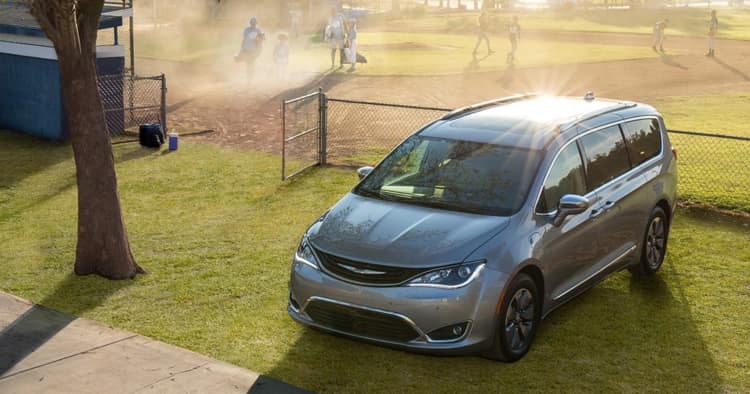 With comforts such as slide-out bins, cup holders, and updated technology, the 2018 Chrysler Pacifica has the features that minivan lovers have grown to depend on. Premium packages on the Touring L models include power adjustability to the passenger seat as a 13 speaker Alpine stereo systems. 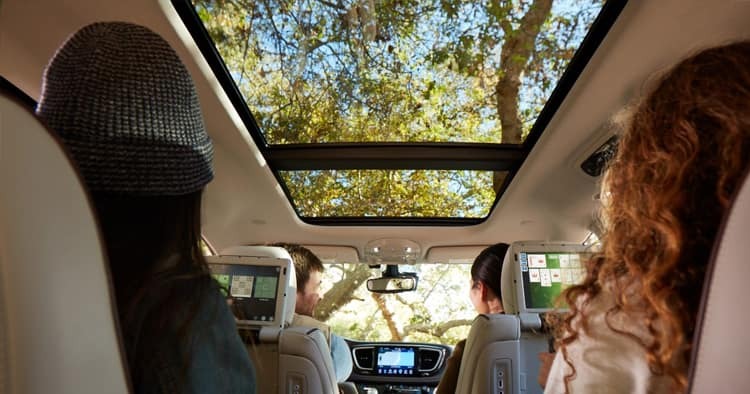 Most models come equipped with the Uconnect infotainment system, which includes such technology features as 4G LTE Wi-Fi data connection, Apple CarPlay, and Android Auto which allows you to keep connected even when you’re on the road. All of the Touring L models have perforated leather seating with options for an upgraded overhead console. With optional extras, including heated second-row seating, third row USB charging ports, and mounted touchscreens, the Pacifica is perfect for long family road trips. 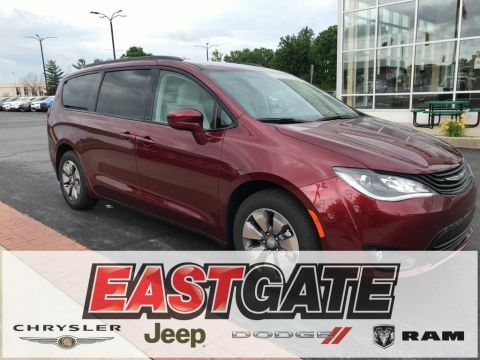 The 2018 Chrysler Pacifica Touring and LX trims include optional safety features, like blind-spot monitoring, rear cross-traffic assist, parking sensors, automated emergency braking, automatic high beams, lane-keep assistance, and adaptive cruise control. Many trims also offer optional forward-collision warning, 360-degree cameras, and full front- and side-airbag coverage. 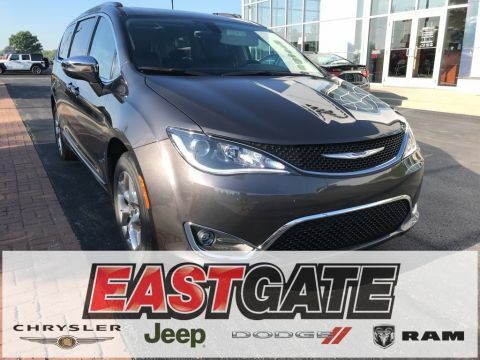 Whether you are looking for a family car to make long road trips or simply need a reliable vehicle for your everyday life, the 2018 Chrysler Pacifica is up for the task. 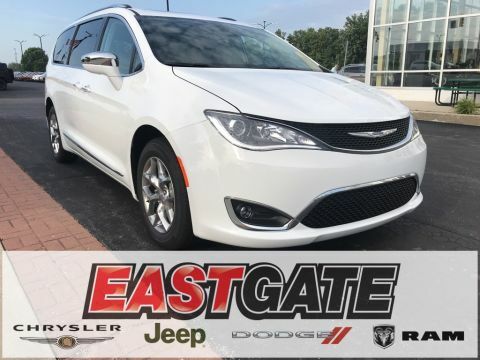 Get behind the wheel of the 2018 Chrysler Pacifica and schedule a test drive today!